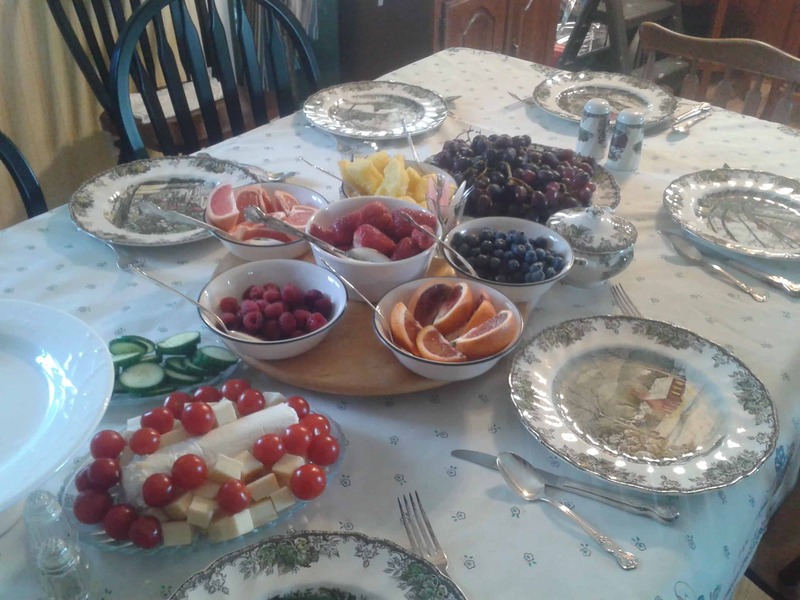 This is actually a breakfast that my mom put together so I can’t take any credit, but I could not resist sharing. When my family gets together, my mother just can’t stop at ‘bacon and eggs’. Talk about delicious! 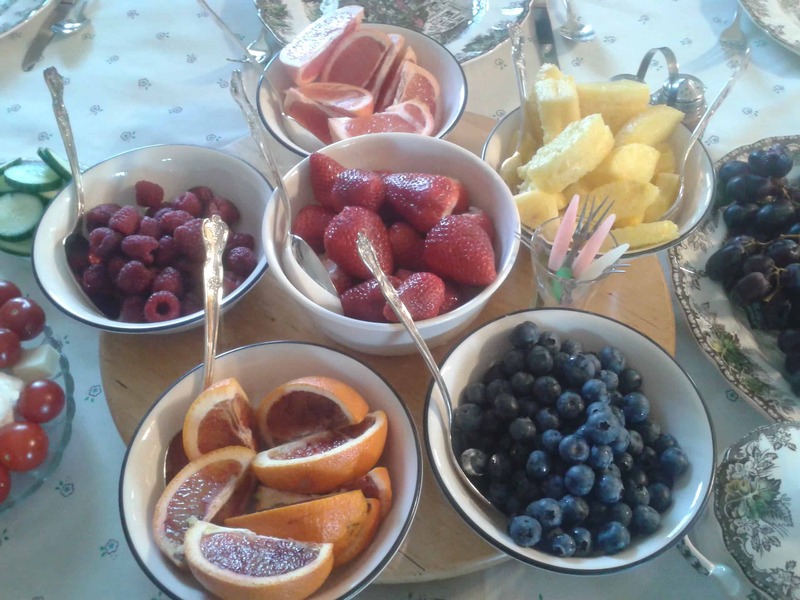 You can either choose your favorite fruit and throw together your ‘personalized’ fruit salad or top the fruit over some pancakes. We topped it over some pumpkin, grain-free pancakes.